Sarah Palin’s Going Rogue is an Enjoyable, Insightful, and Engaging Read. My copy of Governor Sarah Palin’s book, Going Rogue: An American Life came a week ago. I’m typically not a fan of autobiographies or political memoirs. When I go into a bookstore that type of book isn’t what I usually leave with. So this book purchase was solely due to my being a supporter of the Governor’s. I found Going Rogue to be an enjoyable, insightful and engaging read. Palin gives readers a peak into her life, her record, her priorities and her policies “unfiltered.” You also get a sense of her heart to serve. She recounted a friend saying to her that in politics, “you either eat well or you sleep well.” She chose the later which led to making tough choices that were not necessarily comfortable or easy, but were made in the best interest of her state. Those decisions ranged from challenging corruption to her decision to resign as Governor. One of of the things I was struck by was her sense of humor. Such as in her description of when her first child, Track’s birth (talking about Labor and how her family took her to the hospital entrance that said “Deliveries”) to watching Vice President Joe Biden’s pre-debate stretching. Also, while she has certainly lived an extraordinary life, you do see how mainstream her life really was from her childhood to even as a Vice Presidential candidate (changing her son’s diaper right before the VP debate). Also you can see throughout her book the role her faith in Christ plays in her life. Describing at an early age when she placed her faith in Christ at a Bible Camp, attending Wasilla Assembly of God, her involvement in Fellowship of Christian Athletes, her Bible study habits growing up, how she relied on Him through two miscarriages, learning that Trig had Down Syndrome, pointing out God’s providence throughout her life (in good and bad), and readers get a glimpse of her prayer life. At the end of her acknowledgements she encourages readers to do what she did when she was a kid. And I do know there is a God. My life is in His hands. I encourage readers to do what I did many years ago, invite Him in to take over… then see what He will do and how He will get you through. Test Him on this. This book isn’t a tell-all. She doesn’t seek to name names or “get even.” She does try to set the record straight in several instances – like “Troopergate,” accusations about her being a diva & the $150,000 wardrobe. As much as the interviews she gave would make you think she talked a lot about the Katie Couric interview, she really doesn’t give it that much space. She was highly complementary of her “B Team,” those assigned to the VP end of the ticket. Her critiques with the campaign mainly dealt with 1. her being kept from the press, especially the Alaska press. 2. Being overly scripted. 3. Leaks/rumors from within the campaign. Going Rogue isn’t a policy book per se, as that wasn’t the sole purpose of the book, I disagree with those who say the book is policy light. You could see Governor Palin’s principles & priorities woven throughout the book as her belief in free market principles, small government, sanctity of life, and hard work were instilled from an early age. They were further developed throughout her life, and fleshed out in policies that she implemented as a member of Wasilla’s city council, as Wasilla’s mayor, an oil and gas regulator, and then as Governor of the State of Alaska. You also see a common theme in her service as an executive. Cut spending, lower taxes, and put government on the side of the people instead of in their way. She accomplished much in the 2 1/2 years she served as Governor from ethics reform, budget cuts (before the recession when they didn’t have to), gasline development, forcing Big Oil to honor their leases to they would develop, restructuring taxes for oil and gas companies in order to encourage development and exploration, as well as, increased value to resource royalties that Alaskans received. At it’s most basic level, conservatism is a respect for history and tradition, including traditional moral principles. I do not believe I am more moral, certainly no better, than anyone else, and conservatives who act “holier than thou” turn my stomach. So do some elite liberals. But I do believe in a few timeless and unchanging truths, and chief among those is that man is fallen. This world is not perfect, and politicians will never make it so. This, above all, is what informs my pragmatic approach to politics. I am conservative because I deal with the world as it is – complicated and beautiful, tragic and hopeful. I am a conservative because I believe in the rights and the responsibilities and the inherent dignity of the individual…. …Conservatives believe in the “constrained” political vision because we know that human nature is flawed and that there are limitations to what can be done in Washington to “fix” society’s problems. Commonsense Conservatives deal with human nature as it is – with its unavoidable weaknesses and its potential for goodness. We see the world as it is – imperfect but filled with beauty. We hope for the best. We believe people can change for the better, but we do not ignore history’s lessons and waste time chasing utopian pipe dreams, (pg. 385-386). She harkens back to Ronald Reagan as a model we should look at as we proceed further – fiscal discipline, small government, strong national defense, traditional values, and energy independence. Things that she doesn’t just talk about, but has also lived out. My respect for Governor Palin has been deepened as a result of reading this book, and I think that those who are undecided about her will come away with a positive opinion after reading this book. You will certainly finish the book being challenged and inspired “stand up and fight” for commonsense conservatism (unless you’re a liberal). I highly, highly recommend Going Rogue: An American Life. Shane Vander Hart is the editor of Caffeinated Thoughts. He loves connecting with other Palin supporters so feel free to follow him on Twitter or friend him on Facebook. Once the hunted, Sarah Palin becomes the hunter. Sarah stunned the world Friday by doing something that isn’t done. She is willfully giving up one of the most powerful positions a politician can aspire to. She is stepping down as Governor of one of the most important states in America. The media elites were stunned. It was almost hilarious watching their reactions of disbelief. Their commentary was downright entertaining, and further proof that they don’t have a clue. Even those on Fox! And the symbolism of doing this on the 4th of July holiday, the time we celebrate our nation’s birth, and our independence, was completely lost on the whole lot! Almost universally, no one in the elite media got it. This is a huge comment on why our nation is in deep, deep trouble. One reporter on Fox, who has covered Sarah since she became Governor, went so far to say that her speech was “rambling”, and “incoherent.” Again, this just proves that even the media we most trust for news doesn’t a clue about real Americans. Sarah Palin sounded just like us! We, the people, understood every single word she said. This is the reason she is wildly popular in the first place. She IS one of us! Of course, just as universally silly as the commenters are, the pundits are even more clueless. And, evidently, devoid of any and all abilities of comprehension, be it for the written word, or spoken. We’ll get to the speech itself in due time, but suffice it to say, that for normal Americans, those who this speech was aimed at, this was a call to action. Now the talking heads all agree that Sarah is done. No chance of ever being anything again. After Mayor Sarah Palin was term limited out (why don’t we have term limits for ALL elected officials?) she decided her next move would be Lt Governor. She lost. But Governor Frank Murkowski saw a talented woman with a lot of grit. He appointed her as Chairman of the Alaska Oil and Gas Conservation Commission. An important job. One that regulates Alaska’s most important activities, oil and natural gas production. Chairman Palin was charged with maintaining ethics as part of her job. Something that her history has shown she takes very seriously. And her talent in this area was soon to be put to good use. There were a lot of less than ethical things going on, some big, some really big. Now one thing, Alaska is a “good old boy network” kinda state. And her agency was filled with a lot of movers and shakers in the Republican party. Including the party chair, and even a former attorney general. So as one would imagine, there was some push back when Chairman Palin sought to end some of their practices. Now mind you, this is a high paying gig. Six figures. Something a mother of four had to be thinking about. So, what did Sarah do? Well, she committed “political suicide” and resigned from the post. She then took her fight to the people. She also filed formal complaints. We all know the result of this effort. Commissioner Randy Ruedrich who is also the chair of the Republican party, was forced to resign, and paid the largest fine in state history for this sort of thing, $12,000. Gregg Renkes the former attorney general was also forced to resign. Both of these men had conflicts of interest in dealing with companies they were supposed to be regulating. And Ruedrich was also guilty of doing party business on state time. The effort to go after Renkes was bi-partisan, as Sarah joined in with democrat Eric Croft. Oh, and one more thing, Sarah took on her former boss, Governor Frank Murkowski, and defeated him in a landslide primary election, and defeated popular former democrat Governor Tony Knowels in the general election. People who have followed Sarah Palin for a long time absolutely get what she is doing. This Biegel woman has turned her insane hate into a cottage industry, openly raising money online to fund her efforts, the legality of which is in question. She’s not alone in this, as other paid operatives, as well as screw loose crazies, have filed 15 so-called “ethics complaints” since Sarah has come home from the presidential trail! These deals range from the silly, to the down right idiotic! One complaint had to do with the fact Sarah was photographed holding a fish! Some background. Sarah has worked as a commercial fisherman. She and her husband still own a commercial fishing business, and yes, when time permits, she has been known to go out and work the nets! One complaint had to do with the fact she did an interview in her office! She got tagged because, as Governor, she was at this year’s Iron Dog race, at nearly 2000 miles, the longest most difficult snow machine race in the world. She showed up in sub-zero weather wearing a jacket. Yes, the jacket had the logo of the company that sponsors her husband, Todd, who is a multi-championship winning racer. And? The bottom line, is these loons, and democrat operatives have managed to cripple the Governor, her staff, and grind governing to a halt. This nonsense has cost Governor Palin and her family $500,000 personally, but more importantly, to her, the state of Alaska has spent $2 million dollars, and 1000’s of hours in time messing around with these complaints. Needless to say, ALL of these complaints have been thrown out. But as I reported earlier, that means nothing to these bloggers. There were many more bogus ethics complaints planned. This is Saul Alinsky’s Rules being used relentlessly, and being sanctioned by Chicago’s most famous citizen. And with a group of dishonest democrats who will just keep filing these bogus ethics complaints, with absolutely no repercussions, she just saved the citizens of Alaska at minimum a couple of million dollars the state would have had to shell out had she completed her term. This is pretty typical Sarah Palin. When she took office she went on a cost cutting spree. She famously put the executive jet for sale on eBay. And while it was not sold there, it was sold. It was a jet the previous Governor had purchased to travel the state. On the surface, not a bad idea. Alaska is roughly the size of the entire western United States, and many cities are only easily accessible by either air or water. 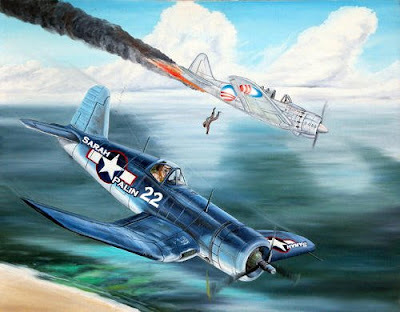 The only problem, is that jet was unable to land on most of the unimproved airfields in Alaska, and kind of useless. Palin reassigned the “executive chef” at the Governor’s mansion saying she didn’t want her kids to get used to being waited on by staff. That saved the state money. She also, along with Lt Governor Sean Parnell, turned down a substantial pay increase this year. Something that just isn’t done. So by stepping down, Sarah Palin just changed the rules on these people. As a private citizen, she is not subject to the constraints of office. She doesn’t have to maintain a certain decorum. Make no mistake about it, Sarah Palin is a street fighter. What she has done is declare herself the left’s worst nightmare! The paid DNC operatives, and loons, are going to look back and wish they had let sleeping dogs lie. Case in point, one of the DNC operatives, Huffington Post blogger Shannyn Moore has already been out there spreading lies about Sarah. Moore, who earlier in the year was obsessed with what was under Sarah’s skirt, is peddling a story that Palin is about to be indicted on some sort of federal charges. Palin’s attorney Thomas V Van Flein has already put Shannyn Moore, the Huffington Post, MSNBC, The New York Times, as well as the Washington Post on notice that they will be seeking actions against them for printing such lies. Van Flein’s open letter to the parties explains the facts of the story in question, which involves the Wasilla Sports Complex that came to be during Sarah’s tenure as Mayor of Wasilla. Needless to say, another attempt to smear Sarah Palin knocked to the ground. “Politically Speaking, I don’t care if I live or die, I’m not going to sit down, I’m not going to shut up!” ___Sarah Palin in a June speech introducing Michael Reagan. It seems we saw signs of Sarah’s big move a while back. We just didn’t know what we were looking at. Sarah made the above remarks during a speech where she introduced Michael Reagan to a crowd in Anchorage. In her speech she also took Obama and his economic policies head on, as well as his foreign policy. She spoke at length about states rights, and how the federal government had become too big, and too controlling. It seems that the trip to Kosovo and Germany to visit the troops may have also held clues to what was about to happen. While there, and in Sarah’s tweets, she continually talked about the sacrifices of our brave soldiers, and about the greatness of America. It’s obvious that while her move to change directions has been in the works for some time, her second trip to visit troops in the past two years really had a profound effect on Palin. Of course, there are all of her detractors who are now saying she is “abandoning her job.” Funny thing, she is transferring power to Lt Governor Sean Parnell. This is the same Sean Parnell who she would have transferred power to had she become Vice President. Some say they don’t buy the “lame duck” excuse. But having followed Sarah since she became Governor, having read her writings, watched her speeches, and read other’s thoughts about her, people who know her, I think I understand, at least in a tiny way, how she thinks about her duty to the folks who put her in office. Again, it’s a given, the loons and DNC operatives were never ever going to stop costing the state of Alaska millions of dollars in their perverted attacks on Sarah Palin. So that obviously weighed very heavily on her mind. As soon as Sarah started speaking out. As soon as Sarah started really challenging those who would destroy America from within, the attacks would come. Sarah recognizes what most of America now does. We are in real trouble. We have incredibly incompetent leadership in Washington. Both parties are filled with people who are more interested in power than doing their jobs. We have a Congress that spends trillions of dollars and passes insane legislation that will destroy our personal liberty, without reading a single word in these bills! Congress passed the trillion dollar stimulus package and absolutely no one read this bill. It was rushed through by Barack Obama and his crew. Obama shouting that if the bill wasn’t passed immediately the sky would fall! Then, once passed, Obama took a long weekend, while staff set up the photo op! The stimulus package has been a disaster, so far. The House of Representatives just passed the largest tax increase in human history, the cap and tax bill on “climate change.” Here’s a bill that will double or triple the cost of energy, and by default, effect the cost of every single product consumers purchase. And this bill will actually do nothing to help the climate! It would also cost millions of jobs, and send most manufacturing overseas to nations that haven’t bought into the “climate change” nonsense. Even better, most Americans understand that “global warming” is a hoax. That the planet is actually cooling. More and more scientists have come out and disputed the whole scheme. In fact, the latest scandal surrounding this involves an internal EPA memo that disproves “global warming”, that was suppressed ahead of the House vote. Not only had no one read this incredibly huge tax bill, an additional 300 pages were slipped into the bill in the dead of night just before the vote! This isn’t just insanity, this is criminal! This sort of thing is why Sarah felt she could no longer sit still and keep her mouth shut. This is why she has decided to travel and speak out. Of course, as Governor, she does have the bully pulpit, but since the DNC has their operatives filing bogus ethics complaints at the drop of the hat, it would be very detrimental to Alaskans for Sarah to use her power as Governor to challenge these crooks in DC. Better to take them on as Sarah Palin, America, than as Governor Sarah Palin. And she did have a point about lame ducks spending the people’s money while doing little of their work. Now with the dishonest press, and the talking heads, there is a huge double standard. They think its just horrible that Sarah is “abandoning” Alaska. On the other hand, no one in America seemed to have a problem when Barack Obama, the very inexperienced Junior Senator from Illinois, after promising the people of Illinois that he wouldn’t run for President in his first term, worked a mere 143 days out of his six year Senate term, only to abandon his job completely to spend a year and a half running for President! All the while collecting his paycheck from all of us taxpayers. I prefer Sarah’s way of doing things. What a red meat patriotic speech it was. This was Sarah Palin speaking out to all of America and letting them know she’s heard the call, and is ready to answer it. The Video is here and the transcript’s here for all to enjoy. In her speech Sarah talks about the need to end politics as usual. Yeah, I know, all politicians say that. But with Sarah Palin, you instinctively know that she actually means it. And frankly, has put her money where her mouth is by resigning to take those who are harming America straight on! Sarah, in her speech, repeatedly called on all to get involved and make a difference. Of course, the elite media who evidently feel it’s their job to tell us what to think (or spread propaganda, I can never decide which) are so sure that Sarah has had enough of all of this and is going home. So as if to make sure there will be no doubt to her intentions, Sarah put out an Independence Day message. “I shared with you yesterday my heartfelt and candid reasons for this change; I’ve never thought I needed a title before one’s name to forge progress in America. I am now looking ahead and how we can advance this country together with our values of less government intervention, greater energy independence, stronger national security, and much-needed fiscal restraint. I hope you will join me. Now is the time to rebuild and help our nation achieve greatness! Now to many, this is Sarah’s way of announcing her intentions to be the next President of the United States, and it may very well be. But I am absolutely under the impression that this doesn’t really matter to her. I firmly believe she is more interesting in changing America for the better. I firmly believe she is more interested in stopping the destruction that Barack Obama and Congress is causing our great nation. Of course, this is WHY Sarah Palin will be President. Her millions of followers will demand it. 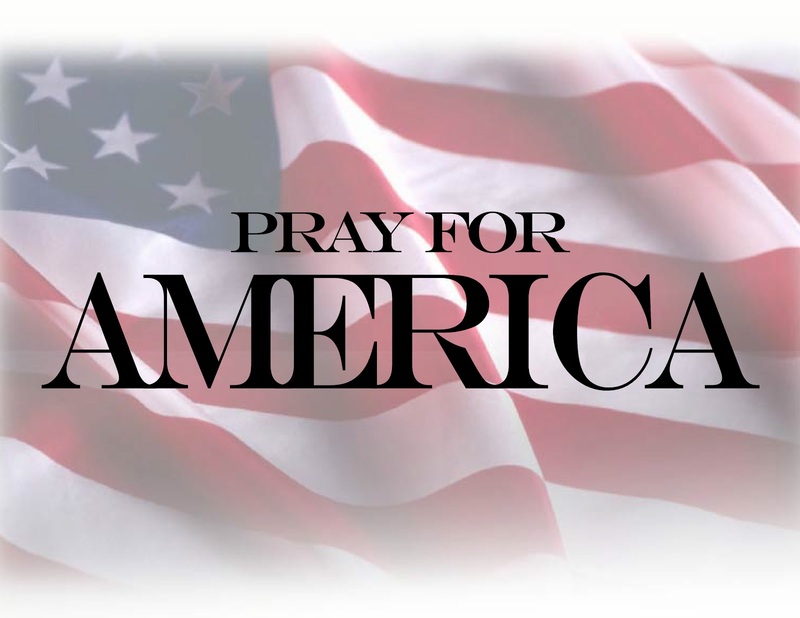 Absolutely no one currently in politics has the vision for America that sees us returning to the principles that our founding fathers set forth. Absolutely no one out there has the ability and desire to take on Barack Obama and Congress with no holds barred. Straight up, no quarter. Absolutely no other political figure represents the conservative movement as defined by one of our greatest Americans, Ronald Reagan. An America where personal freedom and liberty rein. A strong America. An America that made us the envy of the world. Both Ronald Reagan and Sarah Palin see America as a shining city on a hill. God’s greatest gift to mankind. The world’s best hope. Our President and Congress are doing their level best to destroy that vision of America. They are spending our grandchildren’s and great grandchildren’s future on their socialist schemes. They are ignoring the growing threats around the world, while passing unread legislation that threatens our personal liberties and freedom. Sarah Palin recognizes this, and has answered the call. The real question here is for you, the gentle reader. Will you also answer the call? Or will you continue to just sit and complain, hoping someone else will do the heavy lifting for you? Sarah Palin looked at her kids and asked: “Want me to make a positive difference and fight for ALL our children’s future from outside the Governor’s office?” She got four “yeahs” and a HELL YEAH” in response! So again, what will your answer be? Sarah has put her entire career on the line for America. Last month, I read Lorenzo Benet’s unauthorized biography of Sarah Palin, “Trailblazer,” and this week I watched John Ziegler’s complete interview with Sarah Palin. The question I asked myself after finishing both is the same question I’ve been asking myself since August 29, 2008: Who is Sarah Palin? Many who know her say that she is exactly the person that she appears to be. And, yet, no one is ever quite what they appear because they appear to be many things to many people. 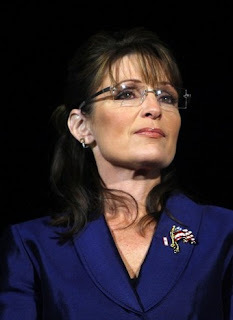 A person as complex and intriguing as Sarah Palin is certainly not that simple. However, complexity does not imply cunning or deceptive manipulation. A person can be honest, straightforward, and completely without guile and yet still be complex. I’ve been fascinated by biographies and biography writing my entire life. One my favorite books on the topic is Janet Malcolm’s “The Silent Woman.” Malcolm tries to get to the truth behind the poet Sylvia Plath, and in my opinion comes closer than anyone else, by revealing the agendas of the biographers writing about Plath. Every biographer molds the biographical subject to fit a vision or agenda. Recognizing that is key to reading a biography objectively. We sign on to the biographer’s vision, and we allow ourselves to either agree or disagree with that vision. Lorenzo Benet’s “Trailblazer” was compelling, but no thanks to any talent on his part. It was compelling because Palin is compelling. Benet is not a particularly gifted or imaginative writer. The book is little more than a compilation of various news stories supplemented by interviews. That’s certainly not a bad thing. All modern mass market biographies are little more than Nexus Lexus compilations. Benet is at his best writing about Palin’s years as a mayor because he can understand “mayor stuff.” He clearly doesn’t understand Palin’s work at the Alaska Oil and Gas Conservation Commission (AOGCC) or the issues that propelled her gubernatorial bid and her work as governor. He is a People Magazine writer after all. I find this weakness amusing because the very people who criticize Palin for being an intellectual light-weight would probably have a hard time navigating the complexities of her job as the governor of our largest energy producing state. It’s clear that “Trailblazer” was not written by an Alaskan, just as it’s clear that Kaylene Johnson’s Palin biography was. Johnson is at her finest in the chapters beginning with Palin’s chairmanship at the AOGCC and ending with her gubernatorial victory because those chapters describe the events that defined Palin as Alaska’s Joan of Arc. Johnson’s biography, like all biographies, constructs a vision of the biographical subject; and Johnson’s vision effectively evokes the sense of excitement and optimism that Palin inspired in ordinary Alaskans. Benet doesn’t really get that far, but “Trailblazer” isn’t a complete waste. The supplemental interviews he conducted with key figures in Palin’s life are worth the cover price. His best interviewee, in my opinion, is Judy Patrick. She provides crucial insight into Palin’s years as a mayor. Many stories and rumors which were only partially understood are given clear context. All of this is well and good. We could learn all of it from the articles currently in print. But who is Sarah Palin? Neither Johnson nor Benet’s biographies satisfied me, and Ziegler’s extensive interview only intrigued me more. If you’ll indulge me, I’d like to take my stab at a biographical sketch of the good Guv. It won’t be exhaustive. I will no doubt return to various themes over time. But here’s a first draft. And it is really only a draft. I haven’t resolved the mystery of her entirely — no one can or perhaps should — but here’s what I think. Let’s start with her childhood, which is the most crucial section of any biography, and with Sarah Louise Heath Palin we see a childhood that would be quite foreign to most of us. I must commend Benet on his chapter dealing with her early years in Skagway and Wasilla. He really does paint a portrait of Little House on the Tundra. When Michelle Obama spoke of her childhood in her DNC convention speech, she recalled watching “The Brady Bunch.” Sarah Palin isn’t big on watching TV because she never was. Her parents didn’t encourage it. She grew up as an outdoorsy girl in a world where the outdoors was vast and wild. It’s difficult for those of us in the Lower 48 to imagine the vastness of Alaska. The Mat-Su Valley, where Palin spent most of her childhood, is the size of West Virginia. And there were only 400 people living in Wasilla when her family moved there in 1969. Subsistence really was a part of their lifestyle then. That’s how they ate. They had a garden for vegetables, and they hunted and fished. When his daughter became governor, Chuck [Heath] found it immensely amusing that acquaintances asked him to sway Sarah on particular issues. He says he lost that leverage before she was two. Chuck Heath is everyone’s favorite middle school science teacher. His home is an amateur natural history museum filled with fossils and skulls and antlers. Far from being “anti-intellectual,” Sarah Palin was raised in a home where science was valued and children were expected to bring home good grades and go to college after high school. Chuck taught his daughter discipline and determination, as well as a love of the outdoors. He treated his son and his daughters the same, and taught them all to be self-reliant — in hunting, fishing, and sports. Her sister Heather noted that Sarah was “the strong, quiet one,” in the family. And here we have the first incongruity in the popular perception of Palin. It seems astonishing, but it is a fact that everyone who knew Sarah Palin growing up describes her as shy and reserved. They also say that she was disciplined, determined, goal oriented, unflinchingly upbeat, and even a natural leader at times, but all agree that she was shy and unassuming. The Sarah Palin who burst confidently onto the national stage like a heroine of old was not the quiet girl who grew up in a small town tucked between two mountain ranges in a distant valley far removed from the avenues of power. It would appear that she was always “intellectually curious”. “We called her Little Sarah. She was sort of a quiet type person, but she was really a competitor and wanted to do her best in anything she went to do,” said Jerry [Russell, her basketball coach]. Jerry says Sarah Heath was usually timid, but he remembers a time when he put Sarah on the bench for not doing as she was told. “And she turned around and looked at me, and said, ‘You’re always telling us that if we see the opportunity to score, to take it, and that’s what I did, so put me back in.’ It was so out of character for her, I had to turn my head because I just couldn’t keep from laughing,” Jerry said. But he says Sarah became more outgoing in high school, even becoming known at “Sarah Baracuda” on the basketball team, and her team went on to win the state championship. “She played that game on a fractured ankle,” said Jerry. Winning that championship was indeed a defining moment for her. The Wasilla Warriors were the scrappy underdogs. They were mocked by the big city team. They were underestimated. And yet they won. This theme would be replayed over and over in her life. Her next goal was to pay for college, and in order to do that she needed scholarship money. And here we come to an episode in Palin’s biography which she would no doubt wish to forget, but which her critics use as a source of endless mockery: the beauty pageants. In between semesters [Palin] did her famous stint as a beauty queen, which she mainly did for the money. The interesting thing about that is, at roughly the same time, she worked in a fish cannery to make extra money. Glamor and fish slime. Quite a contrast. And somehow very her. It was never really her thing. It was the prospect of tuition money, friends said, that led her to compete as Miss Wasilla in the 1984 Miss Alaska pageant — a little surprising, perhaps, since she “wasn’t a high-heels kind of girl,” as one competitor put it, and found the swimsuit competition “painful,” according to her mother. Yes, I can see that it was painful. In the photo of her swimsuit competition, her shoulders have that slight hunch of a modest girl who feels exposed. And here we have another striking incongruity about Sarah Palin. Lorenzo Benet reveals that she was never the prettiest girl in class. Her future husband thought she was, but he appears to have been struck by love at first sight. As an adolescent she was regarded as rather “dumpy” with her thick black glasses. Sarah Palin was the geeky/jock girl, not the beauty queen type. I think the reason why she is not vain about her looks is because she doesn’t see herself as beautiful. She sees herself as a jock. Her classmates say that she was never the “coquette” — she was the tomboyish girl who could talk to the boys about sports and fit in just fine. She’s one of those extraordinary people who grow more attractive with age, but that doesn’t seem to have changed her perception of herself. She doesn’t behave like a beauty queen. This is why I don’t understand women who find her looks “threatening”. The truest sign of vanity is someone who is demeaning to those who are less attractive. Sarah Palin is not that person. Not by a long shot. She was not the “mean girl” in high school. She might have many shortcomings but vanity is not one of them. ADN: Tell us one thing even your closest friends don’t know about you. PALIN: My disdain for shopping is pretty extraordinary. Never underestimate her determination. The shy girl pulled it together. She was the second runner up. She got some scholarship money and moved on to the next thing. Ketchum discovered…that Palin was a natural in front of a camera, a quality that helped her land her first post-college job as a weekend sports reporter at an Anchorage television station. For a journalism class, they videotaped themselves giving a 30-minute speech for classmates to critique. “She may not have stood out as a brilliant student that people remember well in class, but her record suggests she was a student who went way above and beyond and maintained a sense of drive and initiative that was rare,” Atwood said. She eventually landed a great job at the Anchorage station KTUU as a sports broadcaster. She got good at it. She probably could have gone all the way with it if she wanted to. But she didn’t. She decided it wasn’t for her. She left to raise her kids. You’ll notice that her family members say that they didn’t know that she was interested in politics. That’s not surprising really. They also say that she was quiet as a child and that she has always been a very private person. Palin and her husband, Todd, are both quiet and private people. She once said of her husband: “There’s that saying, ‘Still waters run deep.’ That’s Todd.” That’s her too. It’s quite likely that she never mentioned her interest in politics to anyone. Perhaps she never fully articulated it to herself. But she must have thought about it. 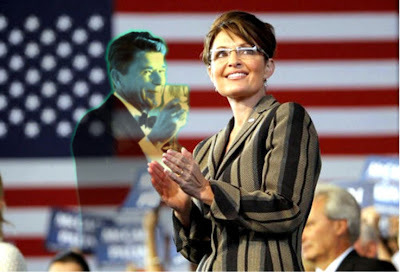 I find a great many similarities between Sarah Palin and Ronald Reagan. There are the obvious similarities: Like Reagan before her, Palin is a gifted public speaker and a former small market sports broadcaster. But there is another less obvious, but integral, similarity: Both Palin and Reagan inherited their simple and solid faith from their mothers. The good old boys who recruited her for city council expected her to sit back and follow their lead. The situation reminds me of the film “Protocol.” They expected her to be the Goldie Hawn character, but just like Hawn’s character in the film, Palin proved that she wasn’t an airhead. Beneath the cheery exterior was a smart and principled politician. She got into a fight with fellow council member Nick Carney because he wanted to pass a city ordinance mandating garbage pick-up, and his company was the only garbage removal outfit in town. It was an obvious conflict of interest. He recused himself from the vote, but he allowed himself to be called as an “expert witness” to testify on the merits of adopting the ordinance. He was testifying on behalf of his own company for his own financial gain before his colleagues on the council. But he saw no conflict of interest. Palin did. She said that citizens should be allowed to decide whether they want to haul their own garbage to the dump or be forced to pay for the service. Her stubborn insistence on little issues like this didn’t go over well with the good ole boys. There was also the little matter of Mayor Stein’s sense of entitlement. The citizens had voted for term limits, but Stein didn’t feel that they applied to him because the law was passed after he was elected. That might have been legally true, but he was disregarding the spirit of the law. Palin challenged him at a time when Republicans nationwide were taking back government. This was the era of the “Contract With America,” and Sarah Palin was riding that wave with a message of fiscal responsibility. But the real secret to her success was that she went, literally, door to door campaigning. There’s a reason why vice presidential candidate Sarah Palin was a natural at the rope-lines — mayor candidate Sarah Palin had a lot of practice at retail politics. Her critics now make the absurd claim that she started some kind of right-wing “whisper campaign” during her first mayoral race. This is utter nonsense. 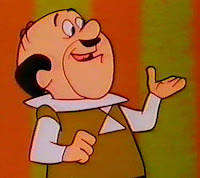 The only thing being “whispered” was the fact that this smug Cosmo Spacely look-a-like had a sense of entitlement and was planning on building some Taj Mahal city hall for himself and a history museum worthy of a city ten times the size of Wasilla. The Benet book is especially helpful when it comes to separating fact from fiction in this period of her life. 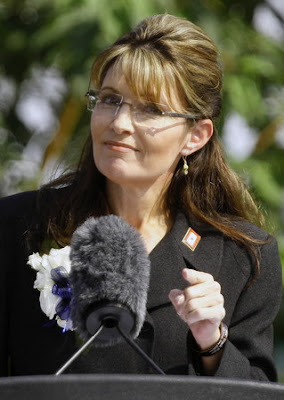 Our leftwing media somehow dug up every Palin critic out there and gave them a microphone. Most of them were from her years as mayor. The media provided no context to their accusations. They just presented them as fact, and when challenged they would claim that the local newspaper backed them up. Well, the local newspaper hated Palin when she first became mayor because the editors were friends with the former administration. The paper delighted in attacking Palin on any pretense until it became clear that such a strategy was not good for business. Everything Palin critics fired at her ended up backfiring on them. Like all smug bullies, they retreated when the person they were attacking fought back. Bullies are always rendered impotent when their erstwhile victims are no longer afraid. Palin fought back, and they soon retreated. She had many pitched-battles, and if anyone questions her conservative principles, I recommend that they read the chapters in Benet’s book covering her years as mayor. She had to make tough decisions in order to keep her promise of “more efficient government.” You can’t enact real reform without upturning some apple carts. Entrenched interests and bureaucratic entitlements are hallmarks of every city hall. And without that intractable leech, she did make it more efficient. Palin learned quickly that you can’t waste your time trying to win over obstructionists. You cut them off. You want to know why Alaska is littered with the bodies of her political opponents? Because she cut them off in order to get the job done. A few years ago, [Chuck Heath] watched [Sarah Palin] pilot her husband Todd Palin’s commercial fishing boat in a storm. Todd was working at his oil-field job on the North Slope, and Palin and her father had been fishing on Bristol Bay. “It was the toughest work I’ve ever done, and it wasn’t only hard, it was dangerous,” Chuck says. At the end of the run, they had to get the boat on a trailer amid crashing surf. As cold, metallic-sheened waves tossed the trawler around, Chuck quailed. “I’m not doing that,” he said. “Get out of the way, I’ll do it.” That could be the motto of Palin’s political career. The City of Wasilla had been talking about building an indoor sports complex for years. In a state that loves sports, the winter months are limiting. But what private company would invest money in something like that for such a remote city? No one. It was something the community would have to do themselves if they really wanted it. Palin got it on the ballot and convinced voters to temporarily increase their sales tax to pay for it. There were twists and turns to the sports complex saga, but it did get built. And the community loves it. And every year it gets closer to paying for itself. Everything in her life is based on incremental steps. She was term-limited out of her job as mayor, and she decided to run for lieutenant governor. She lost, but came in a close second despite being outspent four to one and running against well-known state officials. This is where her biography approaches what I consider the first of the two great tests of her character. Once a year all political appointees in Alaska are required to sign a conflict of interest statement. Part of the statement requires commissioners to report any violation by their colleagues. Sarah felt she had no choice but to tell the truth about Reudrich’s abuses, even though she would be turning in a fellow Republican. In the days following her allegations many who follow Alaska politics (myself included) thought Sarah had committed political suicide. But her courageous stand against corruption endeared her to the citizens of Alaska. Those are the facts. She gave up the job and turned in the leader of her own party, who would later pay the largest ethics fine in the state’s history. She had seemingly committed “political suicide.” It’s dangerous to double-cross the crooks in a crooked state. Palin’s critics now laughably suggest that she quit in order to make herself look good. Yeah, that’s like saying that a firefighter ran into a burning building to rescue an infant because he knew he would get a medal! The firefighter had no idea whether or not he would survive the fire, and Sarah Palin had no idea whether or not she would survive her whistle-blowing. Let’s look at what her actions must have cost her at the time to consider what it took to quit. She and her husband had recently built a new home. She brought home the larger salary. They were no doubt counting on that money. If she quit, there was no guarantee that she would ever work in the public sector again. In fact, it was almost certain that she wouldn’t, and she might even be black-balled in the private sector as well because Alaska is a small state, and everyone knows everyone. You cross swords with a powerful man, and you make a lot of enemies. But she did the right thing. She passed the test. Her gubernatorial race has been written about elsewhere, so I won’t recount it, suffice to say that she was underestimated yet again and she proved her critics wrong. Now let’s examine the next great test of her life. It was a phone call she received from her doctor in the fall of 2007, telling her that her unborn child had Down Syndrome. She was a busy woman, the governor of her state, the mother of four. How in the world would she have time to raise a baby with Down Syndrome? No one other than herself and her doctor knew about the pregnancy. She could have quietly had an abortion, and no one would have been the wiser, and there are many people who wouldn’t think badly of her for doing so. Benet notes that Palin’s sympathies always run with the underdog, the ordinary man, the meek who are supposed to inherit the earth. A woman who believes such things was meant to raise a child like her little Trig. A crusty cynic like me was moved to tears at seeing a brief video clip from her interview with Matt Lauer. It showed Palin, obviously just home from work, holding her baby with her husband standing next to her, and both of them were beaming at that little boy as if he was the best thing in the world. The love there was so obvious it took my breathe away. Ninety percent of Down Syndrome babies are abort. Ninety percent. I imagine that the parents of those lost children can’t bear to look at the Palins. Sarah Palin re-ignited the culture wars just by showing up. That day in Dayton, they played the theme music from “Rudy,” and Sarah Palin “ran out on the field” at the end of a tangled two year campaign and got to participate and make a difference. We should always ponder what it is that motivates our leaders to lead. What drives them? It’s a serious question that should be asked of every leader or potential leader because a leader driven by base motives is a dangerous one. We should not be deceived by the apparent ease with which she gave her RNC speech. We all marveled at it and thought she was some kind of moose hunting wonder woman. She’s not a super heroine. She’s disciplined. I see the old clips of her early years as a weekend sports anchor, and then I see her now, and I realize that she has worked to be as good as she is. I see her working a room and a rope line like a pro, and I think of her shyness and wonder how she overcame it. She wasn’t afraid to give that speech at the RNC. Her confidence is astonishing, and I think it’s something she fought hard to achieve. She seems to posses the double-edged asset and weakness of every driven person. She has extraordinary reserves of energy, but when they’re unfocused she can seem almost hyperkinetic. She wastes no time. She works late and rises early. “Todd jokes I can sleep when I die,” she says. Right before the vice presidential debate, the LA Times ran a story on Palin that relied heavily on two anonymous campaigns aides from her gubernatorial race. Their comments were unwittingly amusing to me because they were familiar. They could easily have been written by anonymous Reagan aides in the 1980s. Palin, the former aides said, had a sharply limited attention span for absorbing the facts and policy angles required for all-topics debate preparation. Staffers were rarely able to get her to sit for more than half an hour of background work at a time before her concentration waned, hindered by cellphone calls and family affairs. “We were always fighting for her attention,” said one of the aides. Those who grew impatient with [Reagan] or frustrated or resentful tried to cover it up. But sooner or later – and you really saw this in the Reagan years – what they were thinking could be seen in a sentence shot out, in a look or a shake of the head. They were thinking something like what Sergeant Warden said of the captain in From Here to Eternity: “He’d choke on his own spit if I weren’t here to clear his throat for him.” They’d say, with a certain edge, “The president isn’t a detail man” (the fool doesn’t know Antarctica’s the one on the bottom! ); they’d say, “The president is a big picture man” (He wouldn’t know a fact if it ran up his nose!). You could see it in Deaver’s book, all the unexpressed hostility seeping out in those ‘The president of course has an amiable temperament, but he’s usually content to allow someone else to make the decisions’ sentences. Even Palin’s enemies admit that she’s positively “Reaganesque” in her ability to win over voters. And like Reagan after his primary defeat in 1976, Palin lost a race and was sent home to heal. We shouldn’t overlook how hard her defeat must have been for her. Her critics see her as some sort of Nixonian character filled with class resentment. But that’s not true. I don’t think that’s who she is. That sad night of November 4, 2008, I watched her closely. The look on her face was familiar, but it was weeks before I made the connection. A shy girl of humble origin from the back of beyond with no obvious distinction other than courage, determination and faith. Am I describing Sarah Palin? 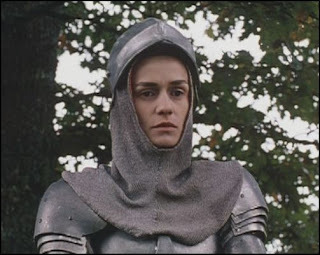 No, actually, I’m describing Joan of Arc. But the description fits our Joan of Arc of the Tundra quite well. She rested a while, and then she got her answer. Before evening fell, she rode back to the battlements, lifted her banner high, rallied her weary soldiers and told them, “When my banner touches the walls, victory shall be ours.” And before the sun set, the Maid of Orleans was victorious. I know He hears me when I just call out to Him, which I do a lot. Oh, yes, I pray. I talk to God every day. I’ve put my life, so I put my day, into God’s hands, and I just ask for guidance and wisdom and grace to get through one situation after another. Throughout the entire campaign we were quite insulated and isolated from what was going on in the world of the media. We would catch snippets here and there either on the campaign bus or looking at a headline in a newspaper as we walked by and we would see some coverage that way, but we were quite isolated really from what was being said about our candidacy in the media… Once I returned from the campaign, got back home, and then realized what had been said throughout, it was very overwhelming and very disappointing. [I] try not to personalize it, or sound whiny about it or sound like I am a victim, I don’t want to participate in that. The only thing I would say about [Sarah Palin] — and she acknowledges this twice in my interview — is that she’s a little bit on the naïve side… probably not so much anymore, but… I think that people are naïve either because they’re stupid, which clearly she’s not, or because they are a good person and they just can’t understand how much evil is potentially possible in others. [He] can’t believe that anybody who’s… ever met him would ever want to do anything bad to him, would ever want to go behind his back, would ever want to stab him in the back… that’s just not within his realm of thinking. He just can’t conceive of it. Reagan had his Nancy to watch his back. I think Palin has her Todd for that role. And now she begins the slow process of healing and regrouping. Make no mistake, the beating she took during the campaign was wounding. She’s not as confident as she once was. You can see it in the difference between her pre-campaign interviews and her post-campaign interviews. There’s a stuttering nervousness about her now. She’s trying to get back on her game. We built her up to be wonder woman, but she’s really something much more admirable and courageous — she’s the shy girl who used discipline and determination to conquer her reticence, who set incremental goals for herself and distinguished herself in the service of her community despite being dismissed by people who thought they were her betters. Joan of Arc used to say, “I would much rather be home sewing by the fire with my mother” than leading armies. Sarah Palin would probably rather be home reading to her kids than giving interviews. She’s lost some of her self-assurance. She’s even cautious with the ankle-biting back benchers in Juneau now. But in time, she’ll heal — though I’m sure she was harder on herself than any of her critics were. How do I know this? Call it a hunch. She used to stand silent and unflinching as her father chewed her out over a poor performance on the track field. Imagine how she must have chewed herself out over her performance in that interview with you know who. She told Charlie Gibson last September that she felt a huge responsibility not to “let women down” during the election. I think that, more than anything else, is what lead to the tears on election night — the fear that she had let women down. I don’t think she let anyone down. I think we let her down. Our “Mrs. Smith” was ready to go to Washington, but instead of rallying behind her, many of us watched silently as she fainted on the Senate floor, and worse yet — some of us joined the crooks and the cynics who laughed at her fallen form. I’ve questioned — when I’ve taken the time to even question, because I’m busy as a governor and busy as a mom, and I don’t want to have to spend too much time trying to figure out “what the heck just happened” via the media in these last few months — but when I do take the time, I have not concluded yet in my own mind what has taken place. Has this been an exercise — again being under such a microscope and so scrutinized — was that sexism? Was that political? Was this an issue of class differences? What has it been? Obviously something big took place in the media and in many in mainstream media deciding that we’re going to seek and we’re going to destroy this candidacy of Sarah Palin because of what it is that she represents — not me personally, not the mom from Wasilla, Alaska — but what it is that she represents in a conservative movement. You represent us, Sarah. That’s what you represent in a conservative movement. When they attacked you, it felt like they were attacking us because you’re one of us. That’s why so many of us believed in you almost instinctively. There is great need for reform… and if there is an opportunity that I could seize to help, I would do it again — just, you know, [I’ve] got to keep growing that thick skin and try not to personalize the attacks too greatly — very tough to do when the attacks come on my family though. That’s just inherent, I think, in any mom, but I’d do it again if there was opportunity to help. And what about us, her loyal foot soldiers? What can we do in the meantime to help our Arctic Joan of the Arc? I wish that there was opportunity for people — especially in the Lower 48 — to look at my record and my administration’s record — what we were able to accomplish here…those things that I have done in my administration… I wish people in the Lower 48 who perhaps would be tempted to be influenced by this media saying that we’re just incompetent or ill-intended up here — I wish that they could just see our record, let it speak for itself, and perhaps believe the facts there versus being sucked into believing what it is that too many in the mainstream media would want them to believe. C4P has your back, Governor. And when you finally ride out from the north with your banner lifted high, we’ll rally.